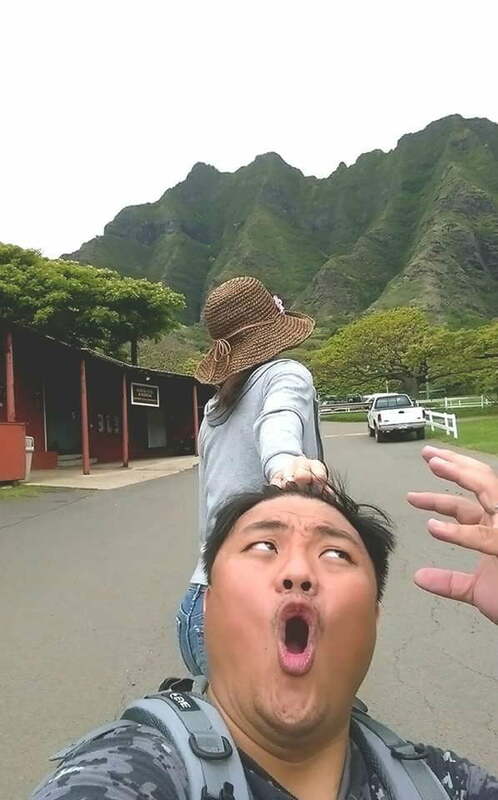 Forrest Lu and Agnes Chien, a Taiwanese couple, are in the limelight after posting hilarious images as a parody of the incredibly popular #followmeto meme. If you are unfamiliar, #followmeto is a hashtag started by Murad Osmann in 2013, the images depict Osmann being led through a series of breathtaking landmarks by his girlfriend. The #followmeto hashtag took off, quickly becoming popular and spawning a number of parodies and memes. These images from Lu and Chien hilariously depict Chien dragging an apparently hesitant Lu through these landmarks. She pulls him along by his hair, his ears, even his nostrils. While the scenes are not quite as epic as those depicted in #followmeto, these shots are an excellent example of turning a trend into your own. According to Taiwanese reports, the couple came up with the idea for this parody while vacationing in Hawaii. Lu and Chien posted their parody to a Facebook community they are a part of, and the couple’s images went viral, reaching more than 135,000 likes and 39,000 shares as of publication. It’s Lu’s facial expressions that really sells it, and takes this series to next level meme status. You can find more photos in their album here. Given the attention this parody is stirring up, don’t be surprised to see another wave of #followmeto memes and parodies flooding your social channels in the near future. You have been warned.